A healthy blockchain ecosystem and a safer crypto trading environment needs market surveillance standards. Instead of waiting for regulation, crypto innovators, broker dealers, hedge funds and exchanges should lead by example and integrate surveillance into their systems. As Lucrative as crypto and blockchain-based assets already are — and will increasingly become — fraud, volatility and regulatory uncertainty still make them too risky for institutional investors and mass adoption. The presence of fraud and other malicious activity in crypto is significant: Earlier this month, the US Justice Department announced a joint investigationwith the CFTC to address fraud and market abuse and “determine if illegal tactics are being used to manipulate prices on exchanges.” The announcement followed numerous other reports on criminal activity in the crypto trading space. And it’s just the beginning, as regulators intensify their effort to protect investors. Market volatility is also a major barrier of entry to the crypto markets. In some instances, cryptocurrencies have lost billions in value in a matter of days, making only adventurous souls and savvy investors likely to meaningfully partake in trading. Regulation could theoretically ameliorate these challenges. For the moment, however, with intermittent and inconclusive statements coming from the SEC, CFTC and other US officials, it is having the opposite effect. Even if one is willing to take the risk and invest in crypto, there are no assurances that in a week, a month or a year authorities won’t change the rules of the game or even ban parts of the industry — as China did in February and India in April — potentially leading to crashes, closures and lost investments. However, while Congress commissions, the CFTC, the SEC, FINRA and other regulators have made it clear they’re observing crypto markets closely, concrete guidelines are yet to materialize. Last week SEC official William Hinman said that Bitcoin and Ether are not securities, echoing similar past statements by SEC Chairman Jay Clayton. Helpful, but still far from clear, evolved regulations that would satisfy prudent institutional actors. It is, however, to be expected. 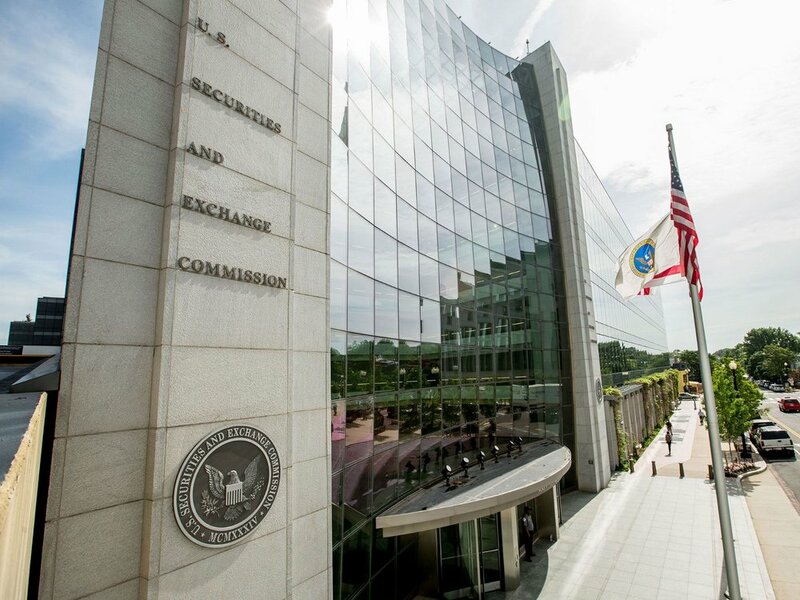 As Troy Paredes, a former SEC chairman (2008–2013) explained last week at the Security Token Academy’s summit (check out our thoughts about the wonderful summit here) — regulation takes time and iterations to develop. Innovators can’t expect perfectly clear and matured blockchain-specific regulation to just drop in full form one of these days. They should work towards compliance within the existing conditions. Though this provisional stage can be frustrating for eager innovators and investors, Charles Aunger provides some perspective. He draws a comparison between blockchain technology today and the nascent aviation industry of the late 19th century. It simply takes time for government oversight to catch up with innovation. The main takeaway is that, as was the case with aviation, it is blockchain innovators themselves who need to step up and begin paving the way for regulators. It seems that we, all participants in the blockchain ecosystem, are at an awkward state of a “chicken or the egg” discourse between regulators and innovators. Each side is asking the other to lead the way so the industry can move forward. So what can blockchain industry leaders do while waiting for regulators to catch up? At Solidus Labs, we believe they should take the lead, and that the best way to do so is to establish market surveillance standards. Market surveillance, commonplace in traditional value markets, is an umbrella term for the systems put in place to monitor trade. They provide stakeholders — operators of exchanges, hedge funds, market makers, asset managers, broker dealers and regulators — the ability to detect and respond to malicious activity. Once detected, offenses can be dealt with in real time and measures can be taken to prevent future abuse. Market surveillance does not promise a 100% fraud-free environment — but it does establish basic standards for oversight, credibility and accountability. At the moment, surveillance standards simply do not exist in blockchain and crypto-based asset trading. It should therefore come as no surprise that the public sees the cryptocurrency space as a Wild West where one is more likely to lose money than make it. Imagine this alternate reality: You decide to invest in a blockchain-based asset. It could be Bitcoin, NEO or another cryptocurrency. Or very soon, a tokenized security, a fractionated portion of real estate or some other form of value, digitally encrypted and made tradable using blockchain. Instead of having to invest with very few assurances — unless you’re a blockchain whiz or crypto hacker who spends much of your time investigating the challenges and opportunities — you go to the website of your exchange or hedge fund of choice, where it clearly states surveillance standards. You can read that suspicious transactions above certain amounts and/or under certain conditions, are immediately frozen for inspection. That “pump and dump,” “spoofing” or other manipulation schemes are addressed through comprehensive supervision and analysis of purchases. You are assured that the exchange or hedge fund you are working with has the ability to survey the market, and can therefore be more accountable in case something goes wrong. For common investors, it would mean trading with confidence that there are systems in place ensuring a safer and more leveled playing field, not just for large or crypto-sophisticated investors. Now think about it from the perspective of institutions. There are currently few if any mechanisms integrated into crypto trading that identify and combat insider trading, front-running, price manipulation other malicious activities. With surveillance standards in place, exchanges will be able to offer a more secure and fraud-proof experience. Hedge funds and broker dealers will be able to responsibly provide their clients access to lucrative crypto assets, by having a better real time insight into the markets. And last but not least, businesses will be able to know with certainty that they have done due diligence and have the data needed to provide regulators whatever they require for compliance purposes. Simply put, the ability to monitor markets won’t just make them more secure for investors, it will lay the groundwork for future regulatory reporting and compliance requirements — making surveillance incredibly valuable for regulators as well. Good self-reporting demonstrates a commitment to consumer protection from within the market and can therefore promote crypto-friendly regulation. It makes it less likely that regulators, concerned with an untamable market, decide the best course of action is to over-regulate or even shut parts of the market down (as China did). It’s hitting two birds with one stone: By establishing surveillance standards, the blockchain ecosystem won’t only send a calming message to mainstream and institutional investors, it will invite and encourage better and friendlier regulation. Nonetheless, it’s not an easy commitment to make. While surveillance standards exist in traditional finance, blockchain is a whole different ball game. Reading and collecting transactions that take place on distributed ledgers requires a unique know-how and the development of a language shared by innovators, investors and regulators. All the more reason for all sides to work together, developing the right platforms, establishing the right requirements and communication channels, and creating an agreed upon standard that won’t hamper the space’s innovative momentum. The late US Supreme Court Justice Louis Brandeis once said that daylight is the best disinfectant, refering to corruption and crime. Along with the buzz accompanying the rise of the cryptocurrency and blockchain ecosystem, there is an influx of fraud, abuse and other harmful activity. Crypto markets are in need of some disinfection that would make them safer, invite good regulation and usher in institutional and mainstream investments. Market surveillance is the “daylight” our ecosystem needs.